606 – Page 2 – Politics, culture, family and more. From a (mostly) Mennonite perspective. There has long been suspicion about Morris Dee, the high profile attorney and founder of the Southern Poverty Law Center. In the 1994, the Montgomery Advertiser was a finalist for the Pulitzer for its reporting on ethics problems with the anti-hate group, and rumors of sexism and racism within the organization have long dogged it. Dees was recently fired and his profile scrubbed from the SPLC’s website, a choice at least as much about the SPLC’s hiding its past as about reckoning with it. And it makes Dee look like a scapegoat. Thankfully, the SPLC has hired Tina Tchen, former chief of staff for Michelle Obama, to conduct an internal review of ongoing problems. I appreciate the (apparently) firm, if late, concern with discrimination and a hostile workplace environment. I’m critical, though, of SPLC critics who argue that the organization has been too focused on money making. I’m not sure why we should assume that nonprofits should always operate on shoe string budgets, that lawyers focusing on social justice should earn less than lawyers working in other fields, or that there should be an upper limit to how much funds these groups raise. Several news pieces, like this one at The New Yorker, stress that SPLC has more money in its coffers than the ACLU or the NAACP. Who cares? Some nonprofits bring in more money than others. We should make sure that all fundraisers in organizations we support are fundraising and spending ethically, but the fact that the SPLC has a $450 million budget isn’t in itself a problem. (For contrast, Harvard has an endowment of over $56 billion, and various other parts of that prestigious school have their own endowments, including others over a billion dollars. And they had to be pressured to pay their cafeteria workers a living wage.) If SPLC didn’t have a ton of money, I’d be critical of their leadership. Above, Morris Dees, Michael Figures, and Beulah Mae Donald at a press conference after attorneys Dee and Figures represented Donald in a lawsuit against the Alabama Klan after members lynched her son. The settlement bankrupted the Klan. Dees’ Critics point out that the Klan’s numbers were already declining, with perhaps about 10,000 members across the US and the Dees used such high profile cases to boost fundraising. To them I say: What did you ever do to get rid of the KKK? And why wouldn’t the SPLC highlight their important wins in the fundraising efforts? How do you think nonprofits work? Photo by Mary Hattler for the Mobile Press-Register. Much of the commentary I’ve read about the SPLC mocks northern liberals who think that their money is going to fight the Klan when it’s really going to pay high salaries of well-trained, highly motivated lawyers winning civil rights cases, tracking hate groups, and producing educational materials to help us learn about promoting tolerance and respect. The sexism and racism within the organization is unacceptable. But the fact that the SPLC has a lot of money–I’m okay with that. By now, maybe you’ve seen Senator Mike Lee’s (R-Utah) incredibly unfunny attempt to mock the Green New Deal. Like, painfully unfunny, and also a reminder that conservatives are rarely funny because they are cowards who punch down. You can find the whole unfunny thing at the Deseret News, the LDS newspaper of Utah. But, more important than Mike Lee’s lack of humor, repetition of the lie that the GND bans airplanes or cows (ideas that he knows his base is sucking up from the garbage news sources they follow), or decision to waste his colleagues’ time with this performance is his racism. Lee proposes that the solution to climate change is more people. The Green New Deal is not the solution to climate change. It’s not even part of the solution. It’s part of the problem. The solution to climate change won’t be found in political posturing or virtue signaling like this. It won’t be found in the federal government at all. You know where the solution can be found? In churches, wedding chapels, and maternity wards across the country and around the world. This, Mr. President, is the real solution to climate change: babies. And problems of human imagination are not solved by more laws, but by more humans! More people mean bigger markets for innovation. More babies mean more forward-looking adults — the sort we need to tackle long-term, large scale problems. American babies, in particular, are likely going to be wealthier, better educated and more conservation-minded than children raised in still-industrializing regions. Finally, Mr. President, children are a mark of the kind of personal, communal and societal optimism that is the true prerequisite for meeting national and global challenges together. The courage needed to solve climate change is nothing compared with the courage needed to start a family. The true heroes of this story aren’t politicians or social media activists. They are moms and dads, and the little boys and girls they are, at this moment, putting down for naps … helping with their homework … building treehouses … and teaching how to tie their shoes. The planet does not need us to “think globally, and act locally” so much as it needs us to think family, and act personally. The solution to climate change is not this unserious resolution, but the serious business of human flourishing — the solution to so many of our problems, at all times and in all places: fall in love, get married and have some kids. Lee’s solution is that American kids–who because of the richness of our nation, are better educated and already have a ton more consumer goods than kids in poor nations–will innovate against climate change. I agree with that. Unfortunately, we don’t have time to have babies and educate them before the worst effects of climate change will be here. We’re already experiencing climate change effects. And there are plenty of smart Americans today who are screaming and yelling that we have to act NOW. The innovations are already there–and the GND outlines some of them. But it’s people like Lee who fight against their efforts. If he doesn’t believe the scientists of today, why would he believe the ones of tomorrow? 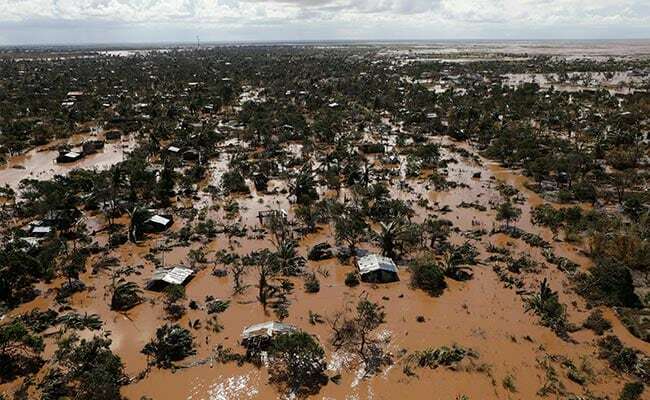 In the meantime, nearly 800 people, half of them children, are dead in Mozambique. We can only expect more famines, droughts, floods, and other catastrophic consequences of climate change that will, in the early stages, disproportionately affect people already on the margins. The survivors will be orphaned, vulnerable to human trafficking and sexual violence. Lee’s solution is more American kids–and let the brown and black kids drown while we make future scientists over here in America. Not take the people we already have and invest in them. Lee doesn’t mean that, as his voting record shows. If Lee opposes investment in American children, despite his claim that babies are our future, what motivates him? Maybe the more than $250,000 he’s received in donations from oil, gas, and coal? I try not to push my outside work here too often, but my column at The Week today is kind of on-brand for SixOh6. A caution: We don’t know all the reasons for these newly lost lives, though Aiello’s mom said her daughter had been diagnosed with post-traumatic stress disorder (PTSD) following the attack at Stoneman Douglas. What we do know is that each person’s life had been deeply marked by gun violence. Collectively, their deaths suggest we should be working harder to tabulate the never-ending psychological and physical costs being imposed on our communities and our neighbors in this era of mass shootings. Those costs should be at the forefront of every discussion and debate we have about the use and misuse of guns in this country. Please read the whole thing. Sarah Huckabee Sanders’ insistence that Donald Trump is owed an apology by Democrats and the media wasn’t unexpected. It’s a a classic move that perpetrators of wrongdoing make when anyone hints that they should be held accountable: DARVO. They Deny, Atttack, and Reverse Victim and Offender. It’s one of many tactics that the Trump administration uses that may be unpleasantly familiar to victims of sexual violence–unsurprising given the president’s own commitment to sexually harming women. Accusing the president of treason IS treason, she argues. Keep in mind that no one accused him of treason. He was being investigated. Being investigated isn’t the same thing as being accused. SHS’s words will be understood by fanatical rightwingers as an invitation to violence. But that’s her point–to incite violence against people she sees as Trump’s political opponents. She wants it as much as white supremacists want mosque shootings. And when bombs get sent to newspaper rooms or gunmen open fire, she won’t mourn any deaths that might occur or worry about the future of a free press. Instead, she’ll blame critics of Trump for stirring up dissent. We don’t need foreign influence to undermine democracy and endanger American lives. We’ve got Sarah. As a reminder, if you bring a gun near a child, you are inherently an irresponsible gun owner. A substitute teacher in Alabama chose to keep his gun in his pocket–a choice that I’ve seen often among gun owners, who, unfortunately, are often more careful with their chewing gum than their handguns. Then he unintentionally discharged it in a first grade classroom, injuring a child who was struck by a debris. But every other in the child was also injured–either scared half to death or told to that this is just the cost of freedom. Above, Henry Rex Weaver, one of many, many Americans who refuse to unload and lock up guns around children. Half of all households that have both children and guns allow loaded guns to be available to children without adult supervision. But even if had been in a holster, it’s a danger. 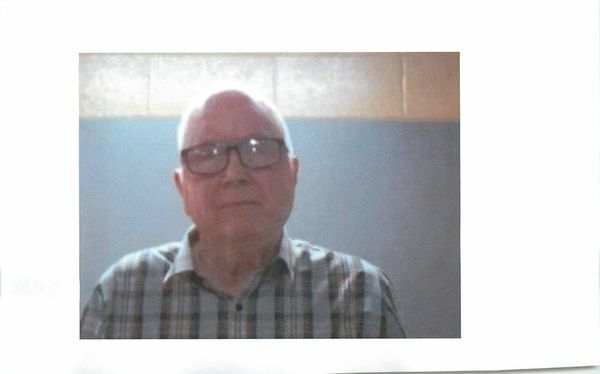 How many first graders would it take to overpower a 74-year-old man and take his gun? One? Two? He should be stripped of his right to ever touch a gun again. Let’s see if Alabama will even consider it. It’s happening this weekend–the 100th anniversary of the world’s largest publishing house! The purpose of the Little Blue Books was to put all the masterpieces of literature, sociology, history, psychology, anthropology, and other fields into the pocket of the working class. The socialist publishing house produced more than half a BILLION books in the belief that an educated citizenry was a defense of democracy. This weekend, Pittsburg State University in Pittsburgh, Kansas, is hosting a variety of events honoring the publishing house, which was owned and operated by Marcet Haldeman-Julius, the niece of Jane Addams, who spend her summers at Hull House and was highly influenced by her aunt’s work, and Emmanuel Haldeman-Julius. Events include an exhibit at the Girard History Museum, tours of Girard that address how publishing shaped the town, a two-day conference, to be held March 30 and 31, and a one-act play written and performed by local high school students about the publishing empire. Marcet Haldeman-Julius worked as an actress in New York before returning to rural Kansas to work as a socialist publisher, and in Girard, she started a youth theater program that incorporated many of the principles she had learned at Hull House, so I imagine that the idea of young people celebrating her work with a play would delight her. And if you’re not able to attend, keep the vision of the LBB alive by reading a radical text or, better yet, sharing one with your local public library, little free library, or church library. Historian Ben Goossen has a fascinating blog post up at Anabaptist Historians about Abraham Esau, one of the leaders of Nazi Germany’s nuclear energy program. Esau was charged with–twice–war crimes involving his participation in the plundering of an electronics company in the Netherland. Mennonites in North America, Europe, and around the globe might reflect on this history of perpetration and denial. Why is it that European Mennonites like Esau found collaboration with Hitler’s genocidal regime so easy and desirable? How could North American Mennonites then so breezily cover for their coreligionists, without raising serious concerns about crimes they might have committed? Abraham Esau’s case may require special soul-searching, given his direct and significant role in the Nazi war machine, as well as his broader impact on the global rise of nuclear weapons.